Listings should be a major part of any professional&#39;s repertoire, but unfortunately not enough people are well-versed in the art of this crucial tool. 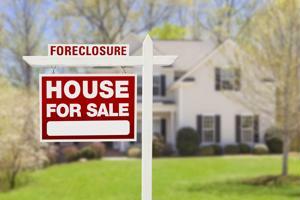 Great real estate listings help sell properties - from foreclosed houses to brand new homes. This tool should be a major part of any professional's repertoire, but unfortunately not enough people are well-versed in the art of the real estate listing. The problem is that there isn't a guarantee that it will be read in the first place. Today's consumers have short attention spans and are often numb to advertising. Therefore, the best listings need to stand out from the crowd in order to get the most sets of eyes, and that requires a few simple writing tricks. The headline and the photo are what people see first. Because of this, these two elements have to be perfect. According to Realtor Magazine, they dictate whether or not the person will read any farther. So the goal should be to create a headline that doesn't draw in everybody - but attracts exactly the people who are interested in that type of property. In order to do this, the headline needs to state how the house can benefit the reader, a unique, interesting fact and a curious tidbit, Realtor Magazine explained. The most important thing to remember is that a real estate listing isn't selling the house, it is selling the lifestyle. The potential buyer has to envision themselves in the property, and realize why that is exactly where they want themselves to be. That is why a real estate listing has to convey a sense of desire. The reader has to want to look into the house more, figure out why it is attractive and even think about what they could do with that space. This all starts with a great headline, which will draw in the buyer and make them want to learn every little detail. Courthouse Retrieval System provides access to accurate, in-depth mortgage records, property data and much more. This information can be the perfect compliment to any real estate professional's current business. Great real estate agents understand exactly what buyers want, and this reflects directly in well-written listings. Shannon O'Brien, in an article for Market Leader, wrote that these can never be boring or repetitive. For example, the basic details should be included in the property details section, according to O'Brien. That means the number of bedrooms and bathrooms shouldn't be in the description. This space is reserved for unique information that could draw in additional buyer interest. In many cases, the best things to include in a listing are the unique features. These are items that aren't part of the normal details, like a creative room or an expansive patio. Better yet, the listing will highlight any upgrades. Homeowners who have taken the time to spruce up certain areas often care more about maintenance, which can be reassuring to potential buyers. Overall, real estate agents should think about word choice, O'Brien explained. Words like "beautiful," and "curb appeal" tend to sell well, and negative, desperate-sounding adjectives often have the opposite effect. Therefore, great listings can help buyers imagine exactly what their lives will be like once they move in.